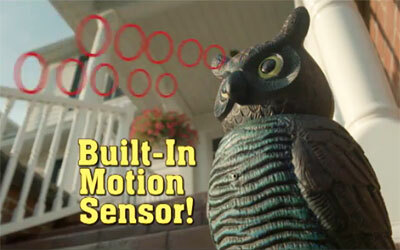 Maybe someone at the infomercial marketing company TeleBrands just has a fetish for mechanical birds…or maybe something far more ominous is afoot. First they created Perfect Polly, an animatronic parakeet that is supposed to be better than the real thing because it doesn’t eat and poop. Then they unleashed Chatty Patty, a fake parrot that will repeat exactly what you tell it in a more reliable manner than the actual bird ever would. 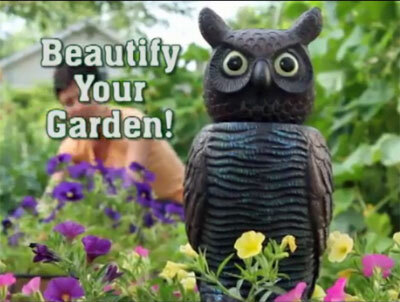 Now TeleBrands offers the Watch Owl, so that every sweet old lady can effortlessly instill dread and terror into any critter who dares to nibble in her vegetable garden. Watch Owl signals the next phase in TeleBrands’ ongoing effort to get society acclimated to various forms of artificial life. (Who ever would have expected A.J. Khubani to make the path straight for Eldon Tyrell!) Perfect Polly and Chatty Patty might be dismissed as fun and frivolous novelties. 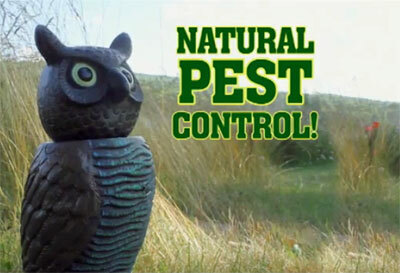 Watch Owl, on the other hand, has menace and threat built right into the product. 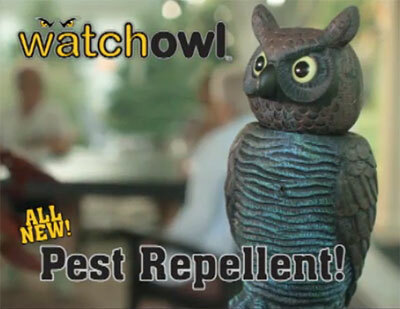 If Skynet ever needed an owl model of terminator cyborg, WatchOwl would be the prototype. Watch Owl, Perfect Polly, and Chatty Patty are the triumvirate of fake fowls ushering in our post-human future and heralding the rise of a panopticon surveillance state. Call now and you can get a free upgrade to the video monitoring Watch Owl which transmits directly into an NSA database! 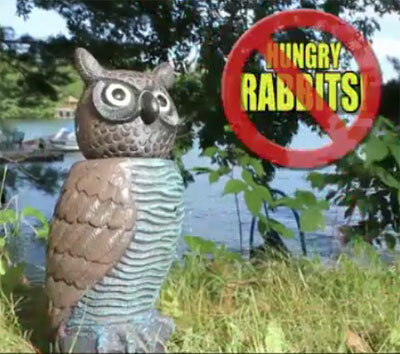 The biggest expense for the Watch Owl commercial was all that stock footage of animals. 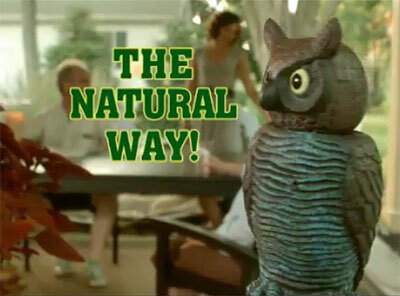 I love how the “natural way” involves a creepy robot owl trolling your garden. Also if a cat is scared if this thing it doesn’t get to be called a cat anymore. Who watches the Watch Owls? I get that it can keep pesky squirrels out of the bird feeder. But, if it is scaring away the squirrels, won’t it scare away the birds too? I suspect that someone read “Do Androids Dream of Electronic Sheep” as a youngster and is now devoting his or her life to making robotic pets.